When I was a little girl, I read a book that would affect me profoundly. 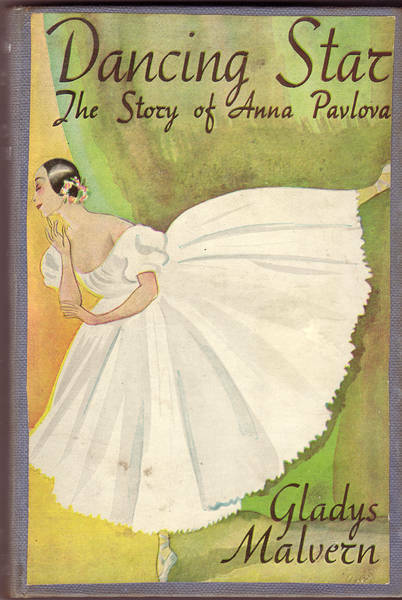 It was Gladys Malvern’s The Dancing Star, first published in 1944, an account of the life of Anna Pavlova, written for children. Like many little girls, I dreamed of being a ballet dancer but unfortunately I was very very bad at dancing and didn’t progress beyond the one disastrous Christmas concert (let me just say: if you’re a blue fairy and you’re with the pink fairies when you’re not supposed to be, you stand out). But it wasn’t the stuff about ballet that affected me so deeply, it was the stuff about work. According to the book, Anna Pavlova was obsessed with dancing. She practised all the time. She did it until her toes bled and she just. kept. going. This notion, that one could work so hard and push through barriers of extreme discomfort, really took hold of my imagination. From that moment on, I understood the incredible romance of work: diligent hours spent on something that mattered to make an outcome appear in the world. This is why I don’t hold much with the myth of inspiration: the idea that somehow you must have about yourself the perfect set of preconditions for creativity to be bestowed upon you by a muse. Coleridge stopped writing “Kubla Khan” when a “gentleman from Porlock” stopped by on some business or another, and interrupted his flow of inspiration (Coleridge clearly never had responsibility for small children, who are magnificent porlockers). The myth of inspiration is pleasantly mystical, I suppose, but it isn’t nearly so effective as work. Work in the early morning hours when the family is asleep. Work until late when the words are flowing. Work on a freshly printed manuscript with a brand new pen while it rains outside. Work when it all seems too hard and your metaphorical toes are bleeding and you have to push through the pain. Work on something you care about so passionately that, like a new lover, you can’t leave it alone. Art, when viewed in this light, is not a divine bolt from above, but the sweet, constant labour of real human beings manifesting things with their feet in the soil. And there is no idea about art more pleasing to me than that. Over the summer (in Australia, summer is just finishing) I wrote a book. It took me only three months to write, and a little bit of time to edit. It was the easiest book I ever wrote, and it’s called Ember Island. I’ll post more information as I have it. But this post is a shout-out to the person who made it all possible: my research assistant, Heather. Tirelessly, day or night, she responded to my endless texts and emails asking for tiny details that she had to chase down from all over the place. She had to cold-call experts, spend hours in dusty libraries, sort out details of all kinds of random aspects across time and location. 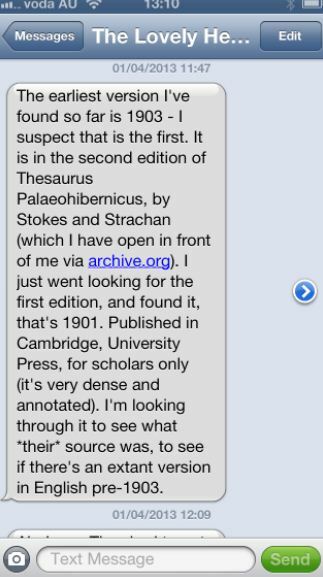 Just today, as I was finishing off the structural edit to go to the publisher, I sent her my last query. Would it be possible that a 10 year old girl in the late nineteenth century would have heard of the early medieval Irish poem “Pangur Ban”? Within 15 minutes, I had my answer. And therein lies Heather’s true worth: she told me the truth (it wasn’t possible) and when I told her I was going to ignore her and put it in anyway (for we never let the truth get in the way of the story), she just sent me a smiley face. Writers don’t write in a vacuum. There is a large machinery of support all around them. From family and friends, to agents and publishers, to helpful people at stationery stores and the reader who sends you fan mail at precisely the moment you feel you should give up this writing caper and retrain as a podiatrist. I am grateful for all of those who support me to write my books, but especially to the lovely Heather, whose wisdom and intelligence and vast store of historical knowledge made my summer so easy. 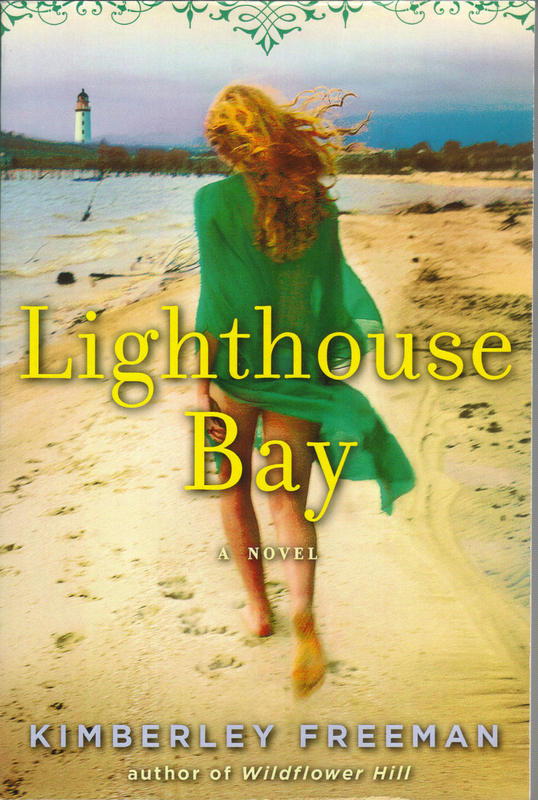 I’m thrilled to announce Lighthouse Bay is being released in the US in April. This is very exciting news as the novel is set on the beautiful Sunshine Coast of Queensland, and it always feels great to share amazing Australian locations with my US readership. Even though Australia is a large continent it can sometimes be forgotten by the rest of the world; and few people realise how beautiful, diverse and extraordinary this country really is. And just so you know I’m not joking here is the gorgeous beach where the fictional seaside town of Lighthouse Bay is set. Yeah. For realsies! The Australian edition of Lighthouse Bay has now been launched into the wild (US readers have to wait until April) and is selling well, even making it on to the Neilsen Bookscan bestseller charts. I’ve been so busy with promoting the book, that I’ve not had time to sit here and blog. So here I am. 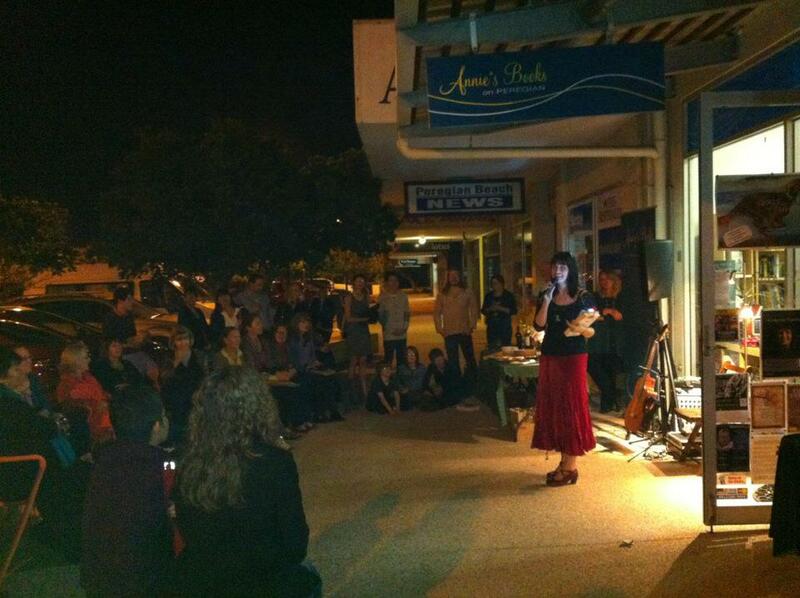 I had the launch in early September at Annie’s Bookshop in Peregian Beach, on Queensland’s glorious sunshine coast. Kimberley, saying her thankyous at the Lighthouse Bay launch. It was a beautiful evening. The sun was setting over the mountains in the west as the blue moon was rising over the water. Annie’s is just across the road from a huge park that backs onto the beach. A warm sea breeze blew, and there was the smell of barbecue and salty ocean on it. I was surrounded by friends and readers and a few curious locals. More than 50 people turned up, so we spilled out onto the footpath to drink wine and eat nibblies. My children were there, being loud and sweet and proud all at once. Old school friends came and afterwards a big group of us went over the road to the local pizza place, and had a long overdue catch-up. It was a beautiful, affirming, unforgettable night. But now it’s back to the hard work, as I conceptualise and start planning the new book. Watch this space. I recently made a 6-week research trip through the UK without my children. Here’s a post I wrote before I left, which originally appeared at Mamamia. I have an amazing job. Amaaaazing. In a couple of weeks, they are sending me overseas for six weeks to advance a project I’m working on. I will be travelling through Scotland and England, spending my days researching and writing on things I’m passionate about. Dream come true? Well, not exactly. You see, I have two primary-school-aged children who can’t come with me. They will be back here in Australia with their dad and his partner, safe and loved and in their routines as much as possible. I will see them on Skype, daily I hope. Back when I planned the trip, six weeks felt like it would be a cinch. I even wondered if I should have gone for two months. But now, looking down the barrel at the airport goodbye, I just feel sick. 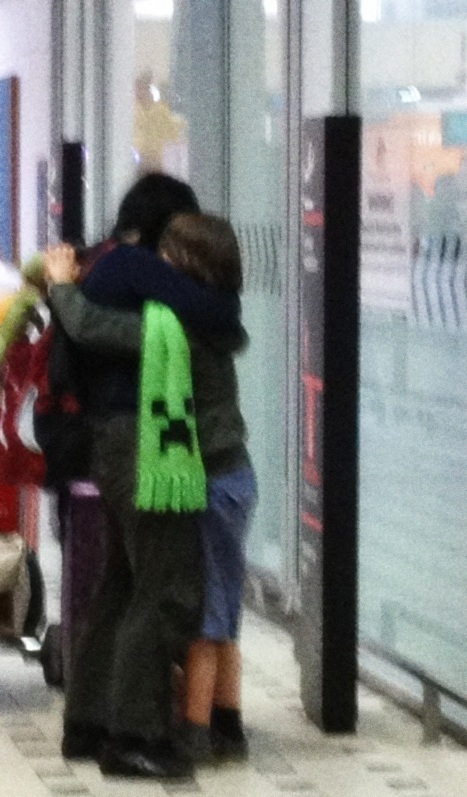 The airport reunion. They hit my embrace so hard they nearly knocked me over. The warring impulses inside me keep me awake at night. First, of course, is the guilt. Blinding guilt. 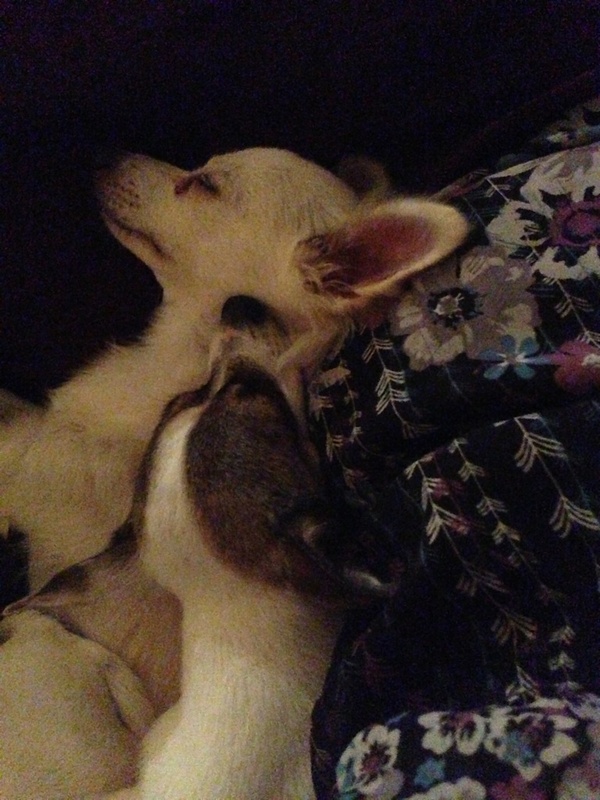 What am I doing, leaving my babies? I can feel their umbilical cords again, pulling on my insides. Should I change to a less fulfilling project that requires no overseas travel, even if it harms my career? Should I take a less exciting job while they are at school? How selfish of me to want to advance my career, expand my mind, actualise my self. But then there’s the other impulse: the airy joy that I will be free and out in the world, growing and blossoming and feeling the value of my work. I love work. I always have. Good work seems to me one of the most important experiences a human can have. Travelling and working on this project makes me want to cry with excitement. I haven’t asked the children what they want. Deciding on the future of my career is way too much responsibility to place on a child, and I know what they’d say anyway: a big, long “no” like the ones I get when I try to send them to school on rainy days or make them eat cauliflower. Instead, I’ve said that we will be apart, that we will miss each other and be sad, but that we will survive it and be back together soon enough. The opinions of others also hold their sway, and I’ve heard them all. From “half your luck ” to “it’s work, you have to go” to “can’t you shorten the trip a little?” to the muttered “I suppose, if you must” (usually delivered with faint disapproving frown). I have also felt these opinions myself, sometimes all of them in the space of a few minutes. The problem is, there are too few role models to call on. We understand that men go away for business; I saw my own father go away for work numerous times. But I’m desperate to meet women who have to go away for business. Desperate for a mother to tell me what to expect, what a reasonable time away might be, how my children might react, how to deal with the haters. Sometimes, when I’m churning through all this at three in the morning (great preparation for the jet lag that awaits me at the other end), I have a fantasy. In it, my daughter is a grown woman with children of her own. She is offered a six-week opportunity overseas for work; it is exciting, career building, but she knows her children will miss her terribly. And then I imagine she doesn’t even ask for my advice. Because she already knows it’s okay. I’m editing Isabella’s Gift/Lighthouse Bay/Not sure yet what it will be called in various territories, but it will be out in Australia and the US in September. Here’s a sneak preview from a scene, set in 1901 in a lighthouse on the Queensland coast. The kettle boils and Matthew wordlessly makes the tea. Isabella sits and waits, wishing for something she cannot articulate. She had been feeling fine and light, just half an hour ago. Now the dark network of memories is closing around her again, just as the dark clouds outside are pressing out all the light. But the tea helps. Hot and sweet. “Tell me about your sister,” he says gently. “Are you close? Isabella smiles, thinking of Victoria: as dark as she is fair. “We were terribly close as children. We grew up on the north Cornish coast. Father was a jeweller. Oh, he was quite mad. He’d work late late in the night, with his hair all stuck up…” She gestured to her own hair. “He had the strangest clients: barons and so on from European towns I’d never even heard of. He was terribly popular. All his jewels were made with cold connections. Every clasp bent and wrapped into shape by hand. His hands were so strong he could crush a tea tin with his fingertips. After Mama died, he let us run wild. We’d spend all day down at the beach collecting shells and stones, then come home and make brooches and bracelets.” Isabella drops her eyes, thinking of Arthur. Once in her life, she’d mistakenly thought that Arthur and she would have so much in common. But Arthur never took joy in making jewels, not the way Papa did. Everything Arthur did was without passion. Bloodless. Matthew doesn’t answer. He seems comfortable simply to sit and wait for her to continue. “Perhaps it is broken,” she says. “Not a broken heart in the usual sense, not a simple crack down the middle. But broken like a clock that has been taken down from the mantel, disassembled by a rough hand, then left in pieces on the floor. Broken so it cannot work right again.” She checks herself. She is talking too much about nonsense. If Arthur were here, he’d admonish her for drawing attention to herself with her wild ideas. But Arthur isn’t here, he’s dead at the bottom of the sea. “My husband is dead, Matthew,” she says softly. He holds her gaze in his a moment, another moment, time winding out. The sense of his masculine presence, the oil and sea smell of the place, the darkness of his eyes. Something flares into life inside her, something she has never felt properly before so at first it puzzles her. A warmth, down low. A tide of longing to press her whole length against his. This is desire. She desires Matthew, the lighthouse keeper. It surprises her, but not unhappily. She doesn’t know what to do, so she stays where she is. It’s unlikely he feels the same, and he would not think it proper for her to express her feelings. She finishes her tea. The rain has eased. It is time to go.